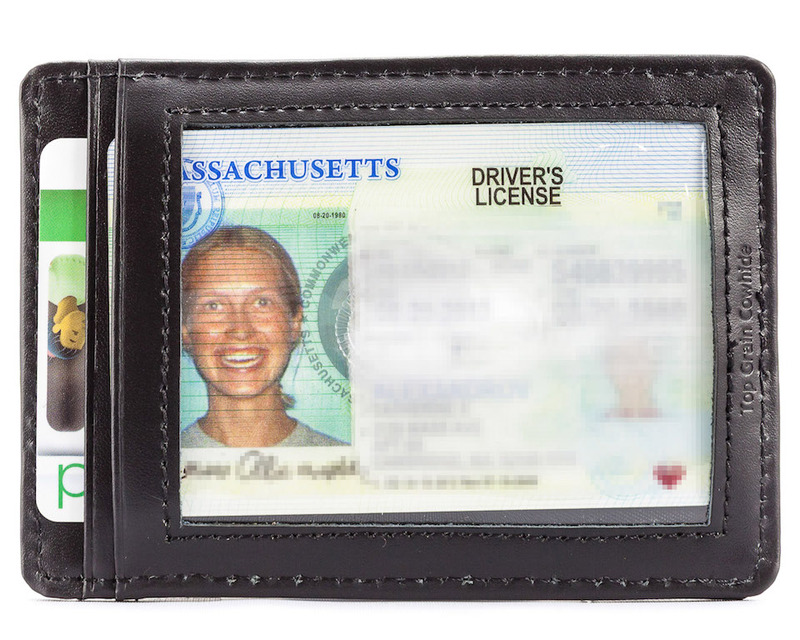 Back by popular demand by the ultra-super -wallet minimalists living in our midst. 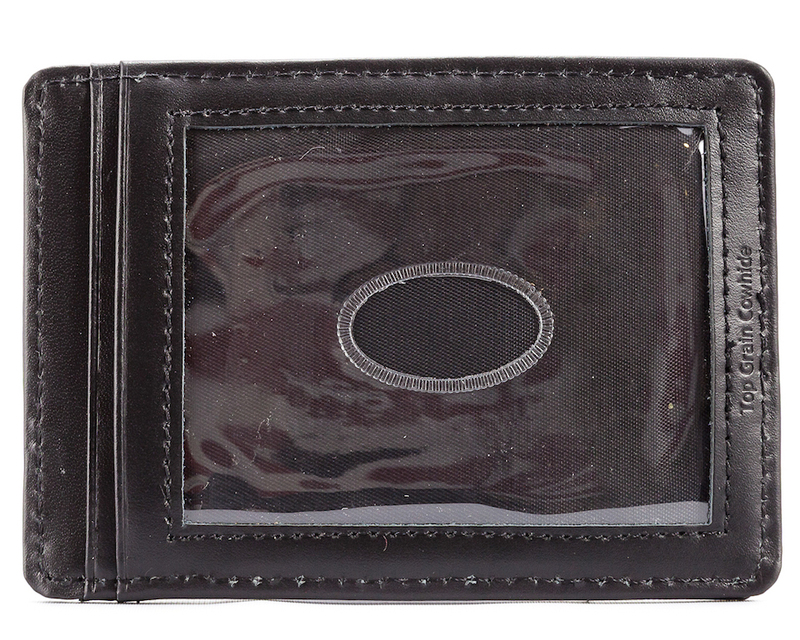 Our leather magnetic money clip will keep your stash of $100s secure while the three card pockets [plus clear ID pocket] hold about 12 plastic cards. We worked hard to design a metal-free money clip so the pockets on your trousers won't tear and that keeps a slim profile unlike those metal money clip wallet versions. Strong magnetic clip can hold a lot, card pockets are extra-wide as usual so you can fit a decent amount but not too much (you want to keep you wallet minimalist status right?). Constructed from durable, top grain cowhide leather! dimensions: 4" wide x 3" tall (10.4 cm x 8 cm)only(4 mm) thin when empty! The neat, compact shape of this Magnetic Money Clip Card Holder is unbeatable. 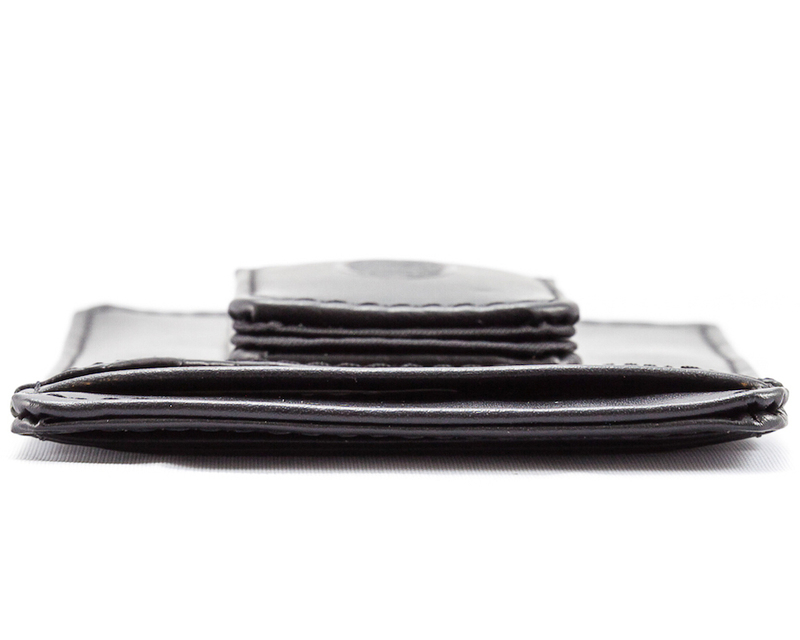 Busy people and minimalists everywhere are loving this wallet-just look at the reviews. From our customers' feedback we can tell you this is a wallet alternative worth stocking up on. 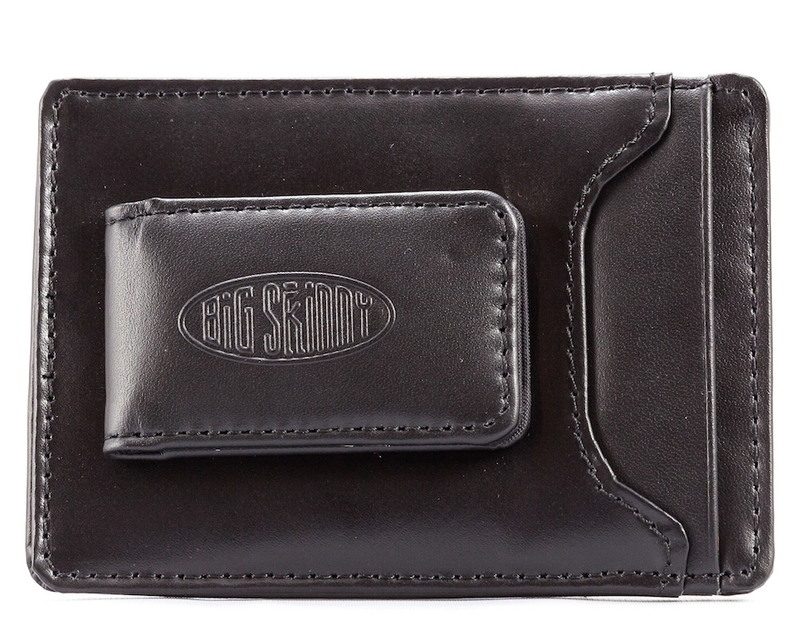 Not every occasion calls for everything in your wallet, why lug it around with you everywhere? Instead of carrying around your whole life, take the minimalist approach and take only what the occasion calls for. It will save you space, time, back pain and even money! No more hip misalignment and no more digging through a whole stack of cards just to get to the one you want. 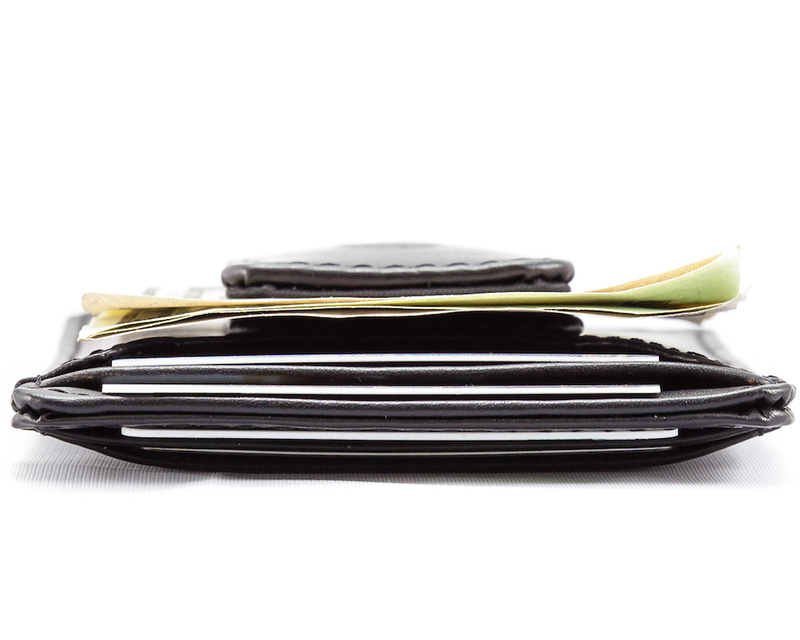 Downsizing your wallet can mean upgrading the quality of your life. 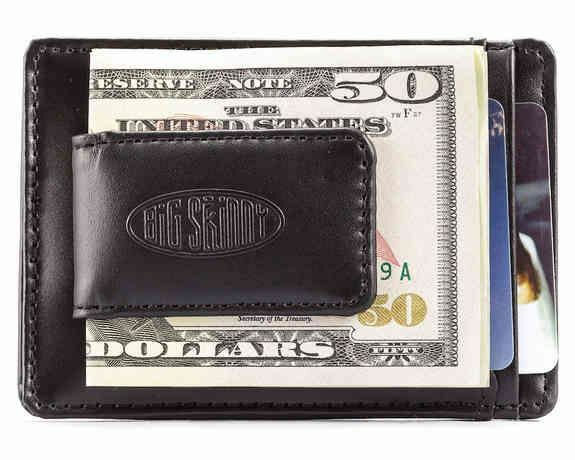 This money clip and card holder is the perfect size for pants pockets, coat pockets, suit jackets and small clutch handbags. Instead of crumping up your cash and stuffing them into the close empty space only to completely forget about it later, store your cash in neatly fold stacks. Just because you can afford to misplace 20 bucks doesn't mean you should. All of that lost cash adds up over time, so take care of it! This is the third Big Skinny my husband has owned. It is a great product! This is by far the best wallet I ever had. minimalist size, very strong magnet to hold a good few notes, and I had about 9 cards in total, I think it could have had more. I now can't find it and I'm pretty annoyed about that... roll on payday and I'll try buy another one. best purchase you'll make this month. this in my second one, last one lasted over 4 years. Great quality and no bulk! Excellent quality wallet! I had the fabric version for a couple years and noticed they came out with a leather version. Well made and very thin! Ive found my favorite wallet!! I recommend this wallet. This is my second wallet of this same style. I had the other wallet but wanted to upgrade the material to something more stylish and sophisticated. The quality is great and it fits nicely into my pocket and not bulky at all. Holds one to three cards comfortably.